There was no answer to solving the stellar pitching of Hempfield starter Lauren Lichtenwalner on Tuesday afternoon. The Black Knights’ ace threw seven scoreless innings and struck out three on the way to a 6-0 win over Central York in the first round of the District 3 Class AAAA playoffs. The Panthers only mustered four hits in the game. “(Lichtenwalner) is a phenomenal pitcher,” Central coach Shane Walker said. “It’s not an accident to win the L-L League and then show up here. We knew that was going to be a tough draw coming in. (We were) hoping to put the ball in play and put a little bit more pressure on them, but she responded. The first two innings looked as though Central and Hempfield would be locked in a pitching and defensive battle. Lichtenwalner and Panthers’ starter Rachel Butler quickly worked their way out of innings early before the momentum shifted. With two down and Bree Wingett on second, it appeared the Panthers would get out of the top of the third unscathed. However, things didn’t go according to plan with Lichtenwalner at bat. A fly ball hit to shallow center was not caught by second baseman Lorna Colberg, which allowed a run to score. Two batters later, Gabi Turner lined a shot to right field for an RBI double to give the Black Knights a 2-0 lead. Hempfield added a run in the fourth and fifth inning. The visitors also put up two more runs in the sixth inning. Courtney Coppersmith came into the game in relief of Butler, who threw until the middle of the fourth inning and returned to the mound in the seventh. Both pitchers had been big parts of the Panthers success this year, but the Black Knights managed to get 10 hits off the two. Lichtenwalner, on the other hand, usually made quick work of the batters she face. 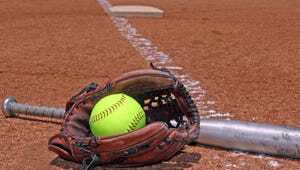 Hempfield coach Brian Lohr noted that as Lichtenwalner has matured she doesn’t feel the need to try and strike every batter out.